The unique Pigma tint does not bleed through the paper and is permanent. 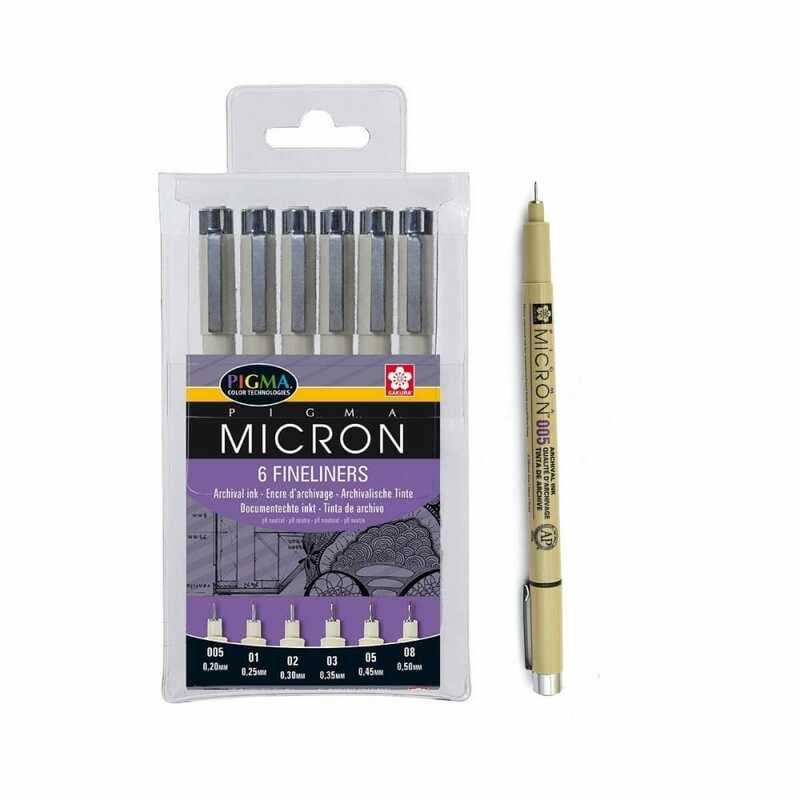 The Sakura Pigma Micron is a fineliner with a unique pigmented tint. It dries quickly and is water- and smudge-proof, non-fading and acid-free. Ideal for sketching and drawing or blending with water to use as water colours.